Portland State University | Ticketing - Sexual Assault Awareness Month: Take Back the Night! Join this Sexual Assault Awareness Month for Take Back the Night 2019, as we collectively center the ways in which our futures are interconnected and to examine the idea that a truly violence free culture must offer safety and dignity for us all. 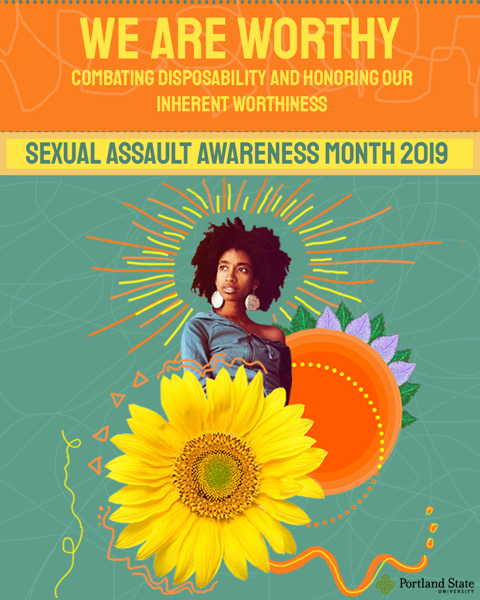 This Take Back the Night, we center the theme “We Are Worthy: Combating Disposability & Honoring Our Inherent Worthiness” with a Keynote from Alexis Pauline Gumbs on Friday, April 26th, 2019 from 6:00 to 8:30 pm at PSU's Hoffman Hall. Take Back the Night is a space for survivors of all genders to be centered and an invitation to the community to deepen its understanding of the impact sexual violence has on everyone.